Romania is a religious country, a fact that is visible in the multitude of churches, cathedrals, and other places of worship that can be seen everywhere you go. Without doubt, the most imposing religious edifices in Romania are the cathedrals of Orthodox, Catholic, and other denominations, many of which were built in the medieval period. Through their great historic, cultural, and spiritual value, Romanian cathedrals are some of the country’s most treasured monuments. 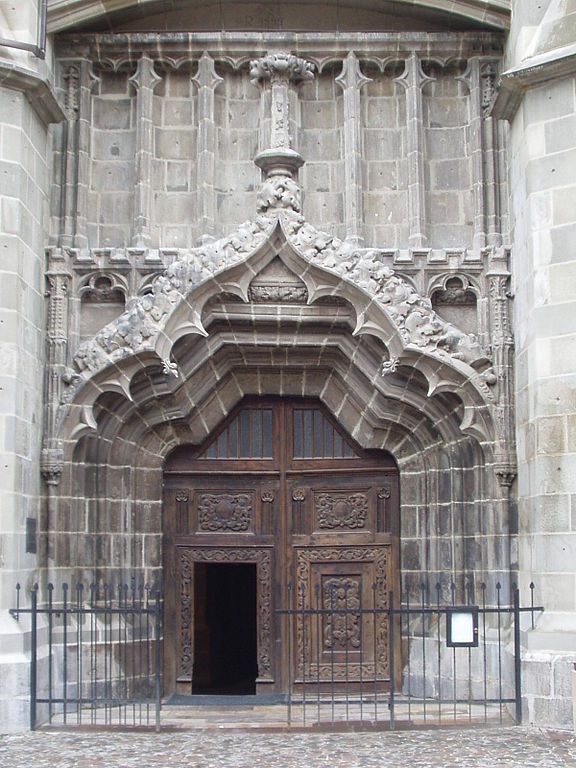 Here’s a list of some of the finest cathedrals and churches in Transylvania. Towering majestically over the Union Square of Cluj, the Saint Michael Church boasts the tallest bell tower in the country. Ground was broken for the construction of this imposing Catholic edifice in 1316, but it wasn’t until 1487 that the church was completed, and, to fund the construction, the Pope granted absolution of sins to anyone who donated to it. 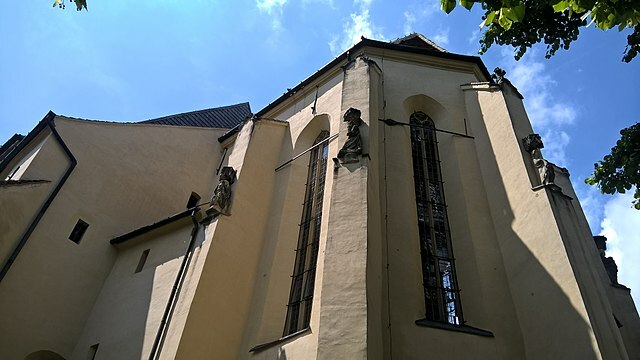 The Saint Michael Church saw the baptism of Mathias Corvinus, the beloved king of Hungary, while four princes of Transylvania were crowned here. The monument exhibits elements from a variety of architectural styles, a consequence of the various modifications and restorations that it underwent over the centuries. Perhaps the best known of all cathedrals in Romania, the Black Church of Brasov is unique through its outstanding architectural and historical value. The church, located in the heart of Brasov’s old town, got its distinctive name from a fire the blackened its walls in 1689. Inside the church, visitors can discover a collection of priceless religious artifacts, such as the Neo-Gothic altar and the fresco of the Virgin Mary, dating from the 15th century. The church also hosts Europe’s second largest collection of oriental carpets, comprising of about 110 pieces, many of which are four or five centuries old. Perched on the highest point inside the magnificent citadel of Sighisoara, the Saint Nicholas Church has a series of traits that make it unique among Transylvania’s other Evangelical places of worship, such as the 42 meters leaning spire and the painting that illustrates the Holy Trinity as a person with three faces. To reach the imposing edifice, visitors have to climb the 175 steps of the Pupil’s Steps, but the beauty of the church and the amazing panorama are certainly worth the effort. One less known detail about the Church on the Hill of Sighisoara is the presence of an ancient crypt underneath its choir, that shelters no fewer than sixty tombs. Considered the symbol of the city, the Evangelical Church of Sibiu is special through its rich frescos and bas-relief sculptures. At the same time, the cathedral boasts the highest medieval bell tower in Romania, of an impressive 73 meters. Its distinctive five towers roof symbolizes the special status that the prosperous city enjoyed in the Middle Ages. Another unique feature of the Sibiu cathedral is the separate narthex, where 67 of the city’s most important people are buried. The last person to be given this honor was Samuel von Brukenthal, whose art collection is the main attraction of the Brukenthal Museum. 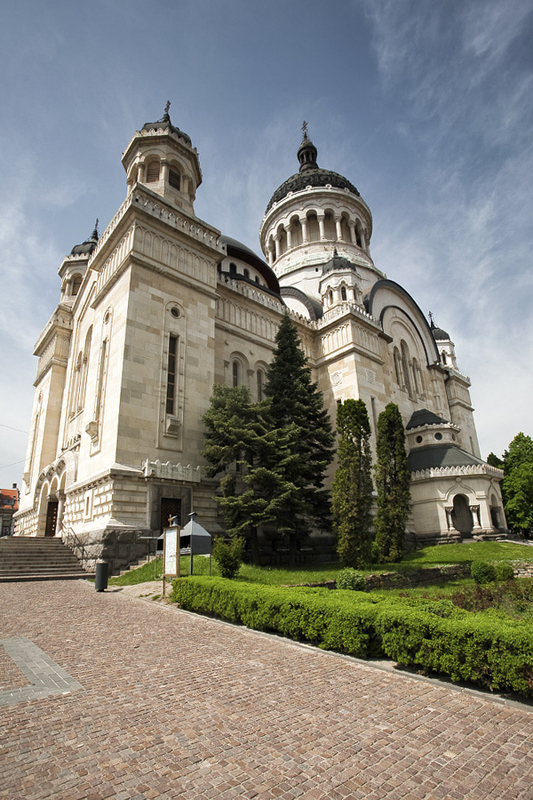 One of the finest Orthodox Romanian cathedrals, the Metropolitan Cathedral of Cluj shines both literally, through its white paint scheme and stonework, and figuratively, as a genuine Sion of Romania. The edifice was constructed between 1920 and1930, and was designed by two of the country’s finest architects of the period. In 1999, the decision was made to repaint the church in the Byzantine style, a laborious process that continues to this day. One of the finest architectural traits of the Metropolitan Cathedral of Cluj is its imposing dome, which resembles the dome of the famed Hagia Sophia of Istanbul. Standing tall over the city of Sibiu, the sober, yet elegant Metropolitan Cathedral of Sibiu is the Orthodox episcopal see of Transylvania. 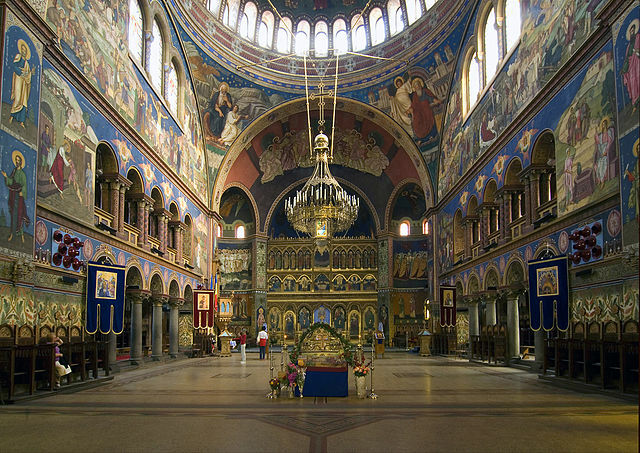 Built between 1902 and 1906, the church harmoniously combines Greek and Byzantine elements and incorporates elements from an earlier Greek church, most notably the silver plated wooden icons of Jesus Christ and Virgin Mary. The church is known for its intricate and beautiful interior, with valuable elements such as a golden chandelier and a golden ark. 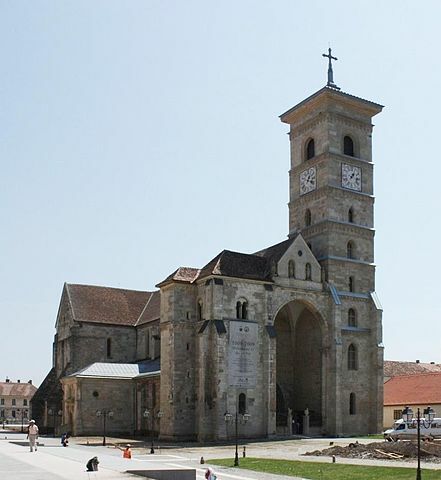 The oldest Romania cathedral, the Saint Michael Cathedral in Alba Iulia was built between 1247 and 1291 and is therefore contemporary to the famed Notre Dame of Paris. 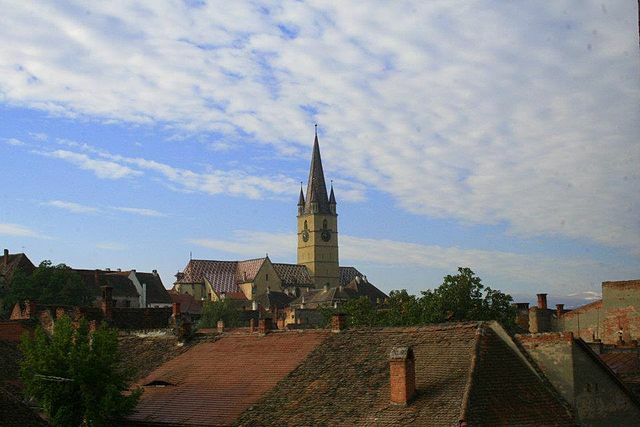 Located in the heart of historic Alba Iulia, in the Alba Carolina citadel, this Roman-Catholic edifice contains the tombs of several major figures in the history of Transylvania, including John Hunyadi (Iancu de Hunedoara). Another attraction of this fine Romanian cathedral is the Laszai chapel, which is considered the oldest example of Renaissance architecture in Transylvania.